Comment: Its a 40 x 50 steel frame building with concrete floor. Currently has regular insulation on the walls but needs to be replaced due to coming down in a few places. Comment: Garage is not insulated. Summer it is extremely hot. Winter it is extremely cold. Wichita Insulation Contractors are rated 4.89 out of 5 based on 67 reviews of 9 pros. 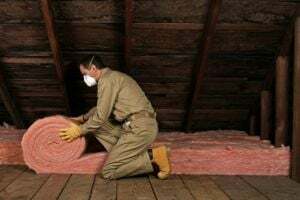 Not Looking for Insulation Contractors in Wichita, KS?